In an effort to raise £30,000 to build an Education Centre in South Africa, Porta Romana has invited five leading designers and artists including Kit Kemp, Alidad, Martyn Lawrence Bullard, Turner Pocock and Adebayo Bolaji to decorate a Porta Romana lamp in their own distinctive style. The results were magical and unexpected. 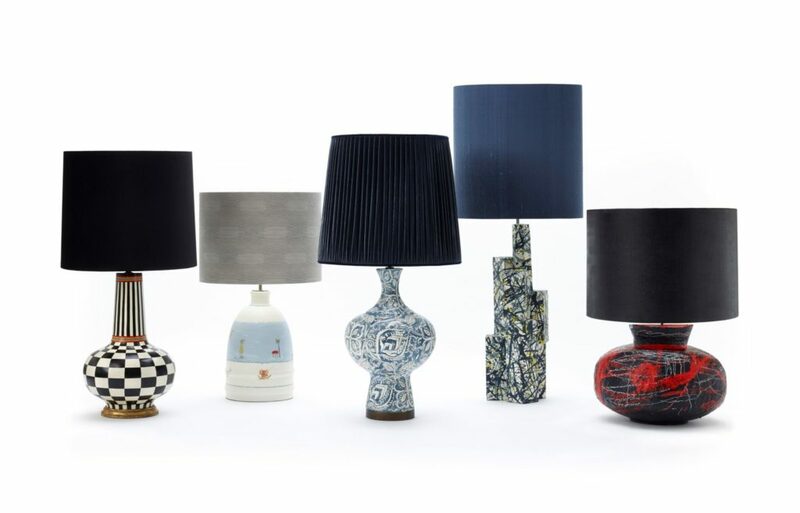 From right to left: ‘Sybil Lamp’ by Studio A; ‘Ridley’ Lamp by Kit Kemp; ‘Zulu’ Lamp by Martyn Lawrence Bullard; ‘Metropolis’ Lamp by Turner Pocock and ‘Shido’ Lamp Adebayo Bolaji.